“In October, Russ Schmitt and I returned from five weeks among our churches in East Africa. We were accompanied on our visitation by Pastor Michael Gurath who just returned to the states a week ago. In the past, I have divided my time in East Africa into four parts: Visiting congregations, following up with new contacts, teaching pastors in area seminars, and assisting with the East African Pastoral Conference. It has been my goal to conduct a seminar in each of our districts. “I have come to recognize that my primary role in East Africa is in the area of teaching. Last year we were only able to teach in seminars about 6 days. This year I consciously added more and planned for 10 days of seminars during my trip. I found that our seminaries need as much attention as we can give them so I changed my schedule to allow for a week in each of our seminaries. “Since we spent a longer time with the teachers and students it gave us a better grasp of the weaknesses and strengths of the schools and what we need to do to help this. From now on, pastoral training will take priority over congregational visiting. Next year I will spend a week teaching in each seminary and then add seminars in the other districts where we do not have seminaries. “In all the places we taught, we conducted a test on the catechism to determine where our students were in their Bible knowledge. The results showed that our men are not well grounded in the teachings of the Catechism. This spurred an intensive course on the catechism during our week at both seminaries and additional lessons were prepared on the catechism for their classes in November and December. Our catechism study was well received by our pastors and students. We handed out boxes of catechisms in each location so that our leaders would be able to study and teach them. 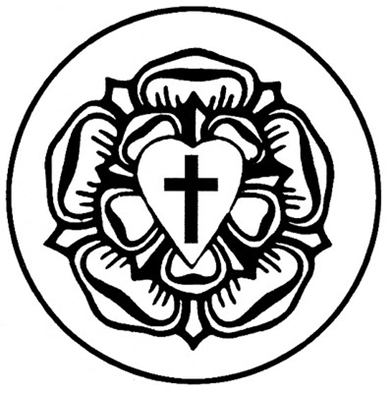 One of the main reasons for the disappointing test results may have been that they simply have not had the opportunity to study the catechism before. “Lord willing, the distribution of these Swahili Catechisms will assist us in building up the knowledge of our men in East Africa in the coming year. 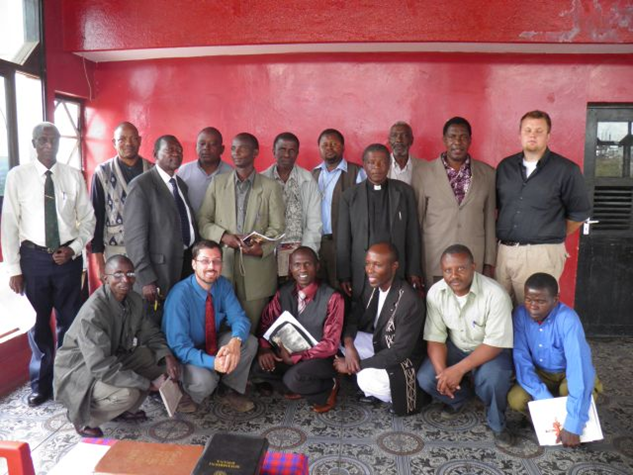 Pastor Jeremiah currently has 11 students in the Arusha seminary. 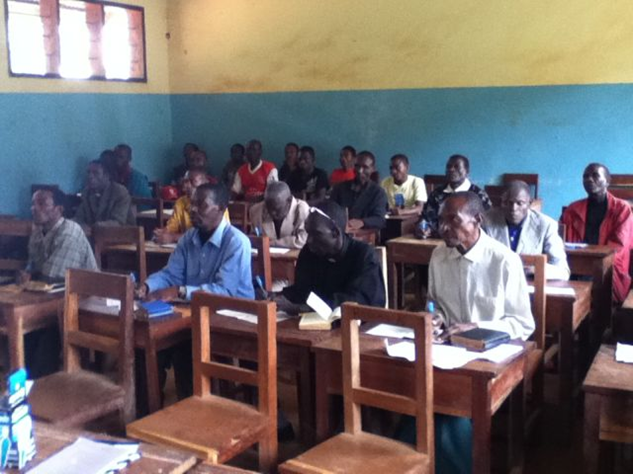 The seminary in Chotororo, Kenya has increased their enrollment from four students to 13 this year. Pastor Fred is the main teacher in this seminary and has been assisted by Pastor Michael Gurath while he was in Kenya. Both of our seminaries currently meet one week a month for 5 days of classes. As you can imagine, this is not enough, but it is all that we are able to do with the funds we have at our disposal at this time. One of the positives from our trip was to see that Pastor Fred did very well on the “catechism test” and our three third year students in Chotororo ranked among the highest of those who took the test. Progress is being made, but it is very slow going. This was especially apparent as one looked at what Pastor Gurath was able to accomplish in Mois Bridge during the ten months that he spent there over the past year. A big part of the struggles we are facing in East Africa are due to the fact that we have never had a full time missionary in East Africa. “All of this reinforces the NEED for a full time missionary to East Africa. We have not been able to make headway with our work in East Africa. In fact we have taken some steps backwards. We need to have a man there in a long-term call. I simply cannot be as effective as our people need me to be because of my limited time there. This is especially apparent in our seminaries and will be critical in our future work in East Africa, especially if and when the seminary opens back up at Himo. We have some men who are very capable and could be trained to take over in a period of a year or two. If we don’t do this, then we will only see more of the same as the next generation is trained like the current one. “There are many exciting opportunities. We have several new contacts in Uganda which offer the opportunity to reach out to many areas there. (One advantage to working in Uganda is that it is an English speaking country.) We also meet with new contacts in Kenya and Tanzania every year that need to be followed up on. What a joy to find people who, like us, have left a false teaching fellowship and desire to join with other like-minded believers in Christ who teach the truth! This takes a great deal of time and effort, but is well worth it in the end.